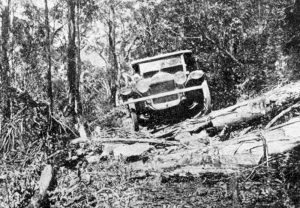 We are in receipt of three very interesting photographs from Mr. P. A. Mclntosh, which we think are worthy of mention, in as much as the Buick illustrated, driven by Mr. Mclntosh, undertook the journey under adverse conditions. 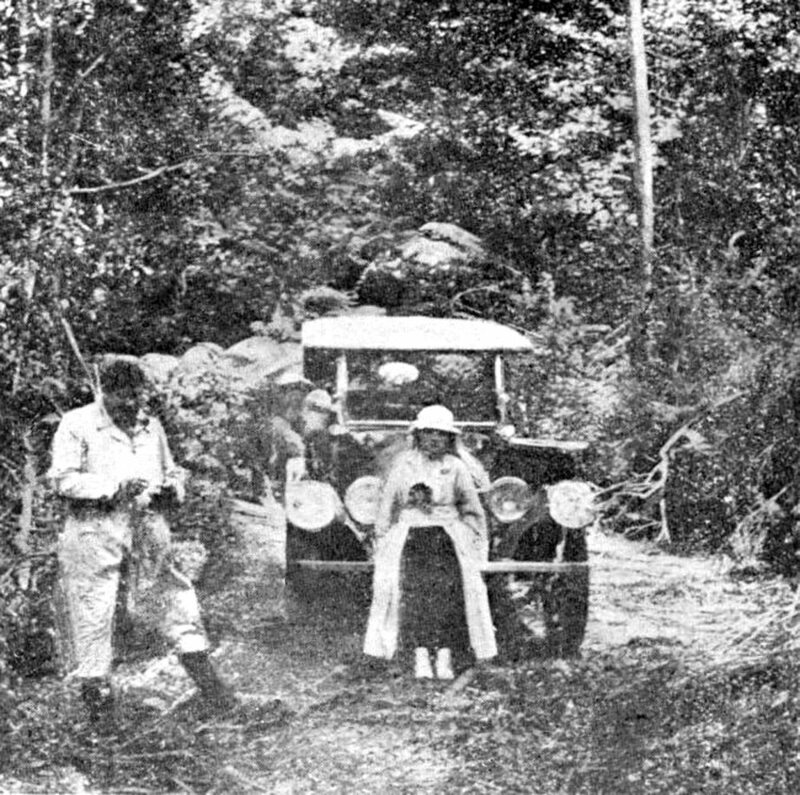 The trip was taken after one of our recent heavy rains, and, as can be imagined, the state of the roads was none too good. 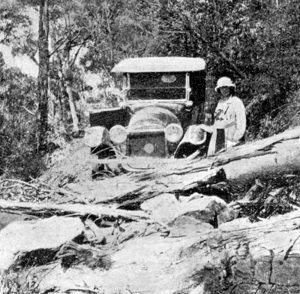 The journey was from Sydney to Mount Victoria, via Kurrajong and Bell, and, owing to the soakage, in several places trees had fallen across the path. 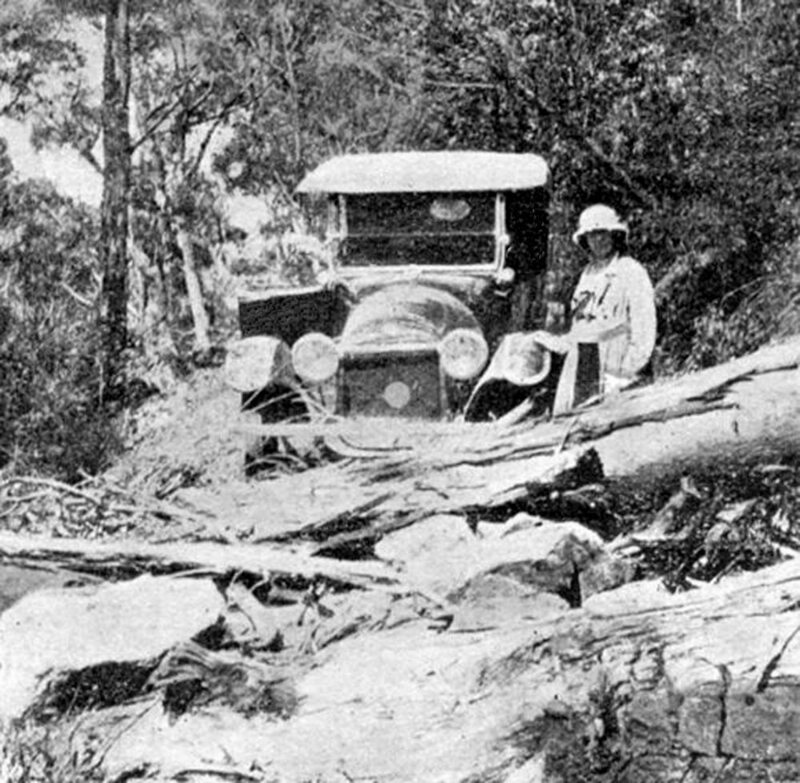 In the first photograph, two trees have fallen across the road and completely blocked traffic. The height of the obstruction can be estimated from the position of the car before crossing, and the passenger standing in front. It would be quite natural to ask: Why not make a detour? 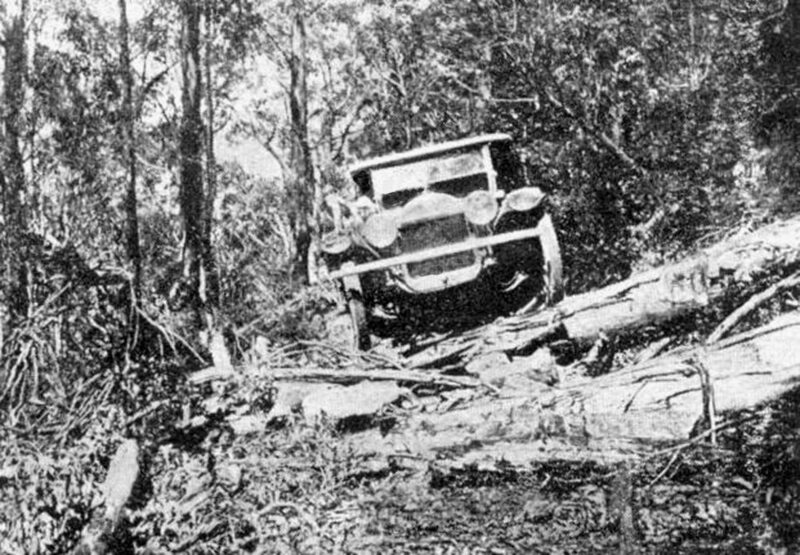 But, when one considers that Mr. Mclntosh had made about 60 miles along this road with no branch road leading from the main road, and that he was within about ten miles of his destination, it can readily be understood that every attempt should be made to get beyond the barrier. Fortunately, Mr. Mclntosh was driving a Buick car, and, due to the wonderful pulling power of the Buick Valve-in-Head motor, and capacity to stand up, in this instance, the car did a little bit more than originally designed for. We might add that the only damage done was a bent tie-rod which did not in any way hold up the car for the balance of the journey. The road covered is a very dangerous one, as there is a drop of several hundred feet on one side, and a slight skid or poor judgment-would mean serious damage to the car, and possibly death to the occupants. The last picture shows the car just after having surmounted the obstacle, and ready for a continuation of the journey.